Copyright © 2007, SVJ Designs, LLC. All Rights Reserved. 41 41 comments have been left about this theater. 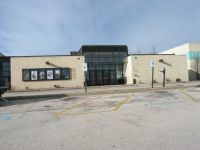 This movie theater is near Milwaukee, Greenfield, New Berlin, Hales Corners, West Allis, Greendale, West Milwaukee, W Milwaukee, Franklin, Wauwatosa, Elm Grove.